The best tutorial I found was making my own washing soda. I didn’t even know it was possible, but because I had the hardest time finding Washing Soda I started searching for ways to get washing soda. After I made this I found washing soda. Go figure. What is the difference between Baking Soda and Washing Soda? Pour Baking soda on the cookie sheet. Flatten it out as best you can. Bake for 30 minutes, stir occasionally. When do you know the Baking soda has changed to washing soda? Baking Soda is a powdery, crystallized like salt and clumps together. Washing Soda is a grainy, dull and opaque, grains separate (kind of like salt). What cleaning recipes use Washing Soda? Here are a few. What products did I end up liking and making into the booklet? I also put pages about essential oils, where to buy the products and about the cost of them and the tutorials from the original websites. This is for Liquid Dish Soap made to hand wash your dishes and not for a dishwasher. If you would like a Dishwasher Detergent Soap see Homemade Powder Dishwasher Detergent & Rinse Aid. You don’t normal use zote soap so my apologize for having it in the picture. You do how ever used Castile, Ivory or homemade soap in the mix. 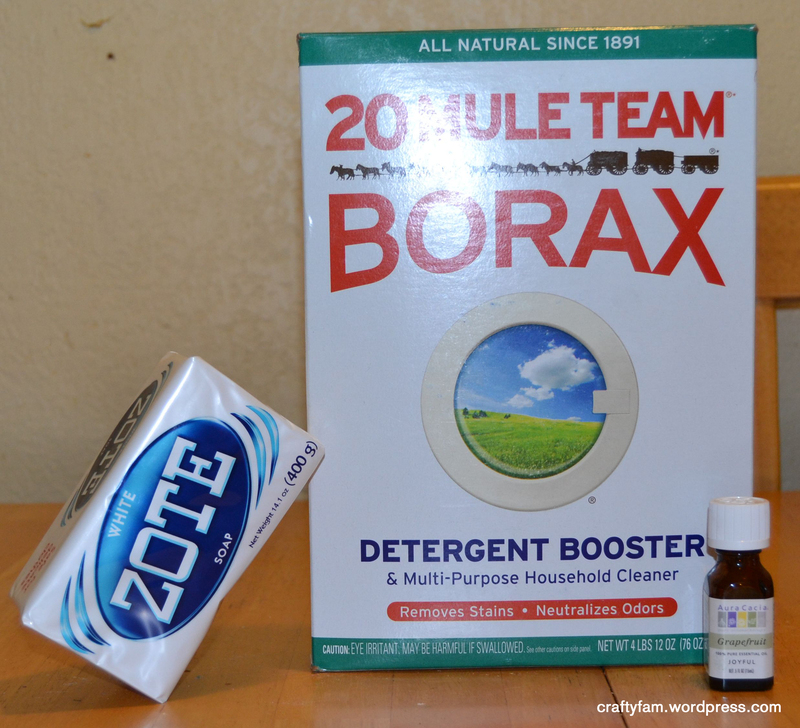 Mix borax and soap together in a medium bowl. Pour Hot water in the mix. Whisk until soap is completely melted. Allow to cool for 6-8 hours, stirring occasionally. Transfer into a squirt bottle. DIY Natural has a video tutorial on this recipe. 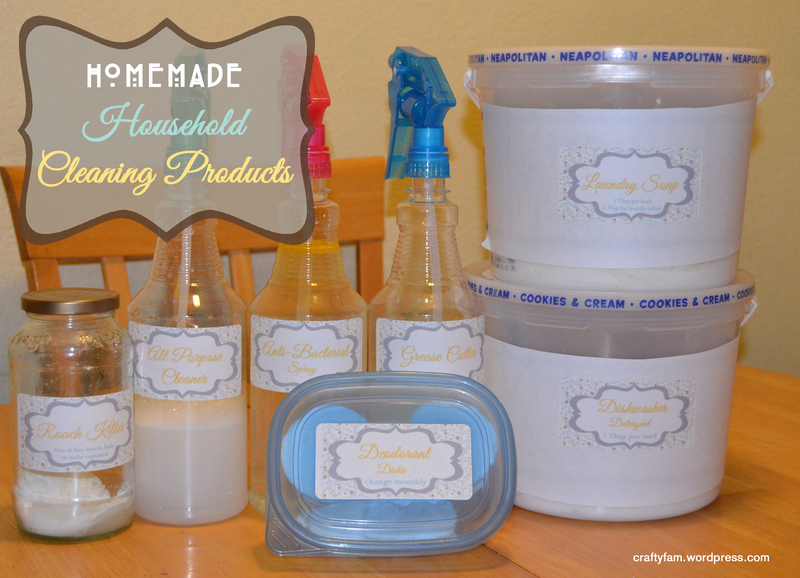 If you want to make more Homemade Household Cleaning Products look below for links to other cleaning products.